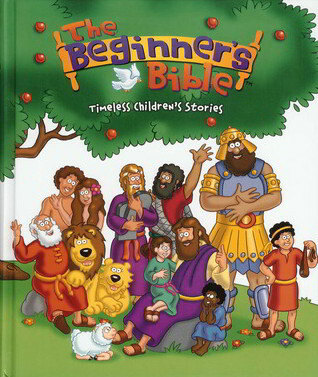 Our pick as the best available story Bible for younger children. A good mixture of stories, accurate illustrations and key Bible themes linking them together. Good language usage for the under 6s and bright cheerful illustrations. Is is a gorgeous book to give to a child. Bright colours, lovely illustrations, altogether a great way to start little ones into God’s word. Particularly good to give to children in families that don’t “do church”. Highly recommend.